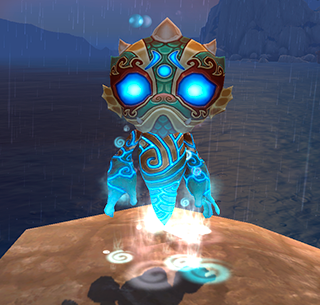 The Flowing Pandaren Water Spirit is located in the Dread Wastes at 61,87. Her Team consists of Marley and Tiptoe. Your team : Anubisath Idol, Raven, and any pet you want to level. Let the battle begin! Marley is an Aquatic. Thats right, it equals "please lord just kill me now" in my book. Start off with darkness, hes going to hit you with whirlpool. Second attack is nocturnal strike, hes going to dive. When dive resolves, so will whirlpool, so you might be low in health. So from here just alphastrike spam untill the birds dead, re-upping the darness and nocturnal when you can. Tipetoe will usualy start with AOE waves, so use the raven as far as you can into the fight, when it goes down, switch into Anubisath. Start with sandstorm, it will negate the damage incomming from the waves for your team, and damage Tiptoe. From here, just reup sandstorm and crush spam untill hes dead. The Water spirit is next, Her first move is whirlpool, this is where you pet switch. Flip to your level pet. Once the round resolves, flip back into Anubisath. 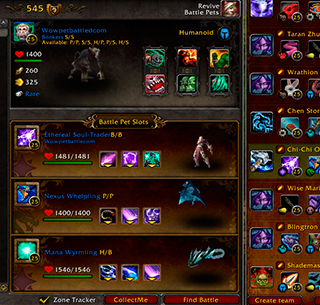 The leveling pet just has to persist thru one round, it doesnt even have to do anything. Once anubisath is frontlined, you will have 1 round left before whirlpool and Guyser resolve. Its Deflection time! it will negate all that incomming damage , she will re-up her whirlpool and guyser and spam Tidal wave. From here on out its crush spam and sandstorm on CD.